Notes: Vol XXXIII, No 2. Cover illustrates "Fruits of the Agathon." Attributions for illustrations from credit or signatures using most complete form of the artists' names in this issue. 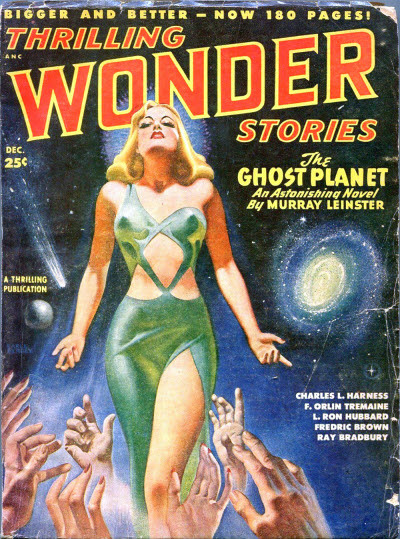 Editor Title: Thrilling Wonder Stories - 1948 • [Thrilling Wonder Stories] • (1948) • edited by Sam Merwin, Jr.